"Maria", Selections from "Life is Beautiful" and "Il Postino", "Music of the Night", "La Biamo", "O Solo Mio","La Donna Mobile", "Celeste Aida", "The Prayer", "Caruso", "Nessun Dorma", "Time to say Goodbye" and more! Please join the Opera Club of The Villages for their annual fundraiser benefitting The Harold S. Schwartz Music Scholarship. Come enjoy an entertaining evening featuring three tenors and a guest soprano as they enchant you with their song. Acclaimed for his "fresh-toned and touching portrayal" by Opera News and lauded by the New Orleans Times-Picayune for his "rich lyrical tenor, fabulous top notes, and striking good looks," John McVeigh continues to garner attention for his countless world-class performances at the most revered houses throughout the United States and worldwide. Most recently, McVeigh performed the Celebrant in Bernstein's Mass with the Brevard Music Center, Goro in Madama Butterfly with Opera Theatre of St. Louis, Mahler's Das Lied der Erde with Trinity Church Wall Street, the tenor solo in Händel's Messiah with Indianapolis Chamber Orchestra, Evansville Philharmonic Orchestra, and DCINY, and returned to The Metropolitan Opera for their productions of Turandot, Eugene Onegin, and The Merry Widow. This season, McVeigh performs Don Basilio in The Marriage of Figaro with Opera Theater St. Louis and returns to The Metropolitan Opera for their productions of La Fanciulla del West, Il Tabarro, and Dialogues des Carmelites. Additionally, he performs as a soloist in Handel's Messiah with Indianapolis Concert Opera and DCINY, and in Beethoven's Symphony No. 9 with DCINY. 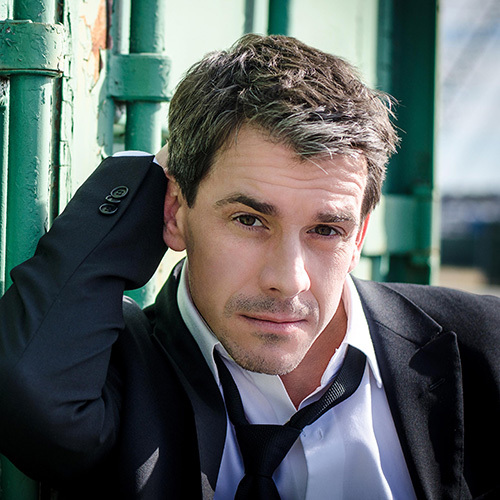 Andrew Struhar is a performer and teacher of Musical Theatre and Opera. He is a graduate of Liberty University with a Bachelor of Music degree in Choral Performance where he performed in many roles, including Fyedka/Fiddler on the Roof, Nanki Poo/Mikado, and Frederic/Pirates of Penzance. 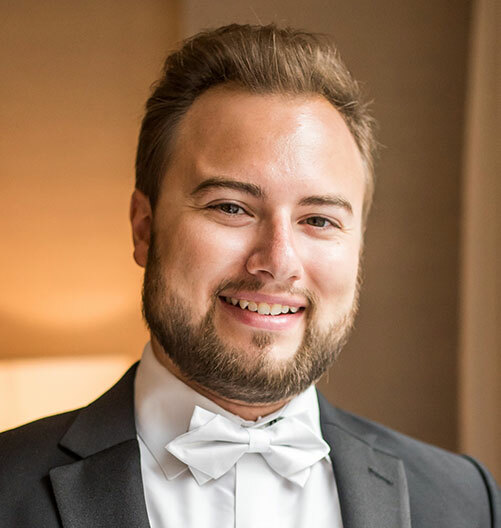 Mr. Struhar is also a graduate of James Madison University with a Master of Music degree in Vocal Performance, Pedagogy, and Literature where he performed the roles of Nemorino/L'elisir D'amore and Tamino/Die Zauberflöte. His Sacred Works and Oratorio credits include: Tenor soloist in Handel's Messiah, Dubois' Seven Last Words of Christ, Bach’s Ein Festeborg, and the Mozart Requiem. Mr. Struhar has performed onstage in over 60 musical productions, including professional performances and tours of the Sound of Music, Fiddler on the Roof, Annie Get Your Gun, Gianni Schicchi, Candide, Le Nozze di Figaro, Don Giovanni, and Die Fledermaus. He is a graduate of the Central Florida Lyric Opera’s Resident Artist Training Program and currently performs with Maestro Bill Doherty and the Central Florida Lyric Opera as well as The Palm Beach Opera and has sung the roles of Alfredo/ La Traviata, The King of Siam/The King and I, Danilo/The Merry Widow, Lieutenant Cable/South Pacific, Borsa/Rigoletto, Spoletta/Tosca, Rodolfo/La Boheme, and Tamino/The Magic Flute. Mr. Struhar currently resides in Palm Bay, Florida with his wife, Michelle, and five month old daughter, Arden, and is on staff at First Baptist Church of Stuart as Director of Music." Devin M. Eatmon is an operatic tenor from Ocala, FL. Since becoming a finalist in the Harold S. Schwartz Opera Competition (2013), hosted by The Opera Club of The Villages, Mr. Eatmon has performed two full seasons with The Central Florida Lyric Opera as a Resident Artist (2013-2015). During those seasons he performed many roles including Camille in Franz Lehar's The Merry Widow (2015) and the world premiere of the Bill Doherty Requiem (2014) in Jerusalem, Israel. 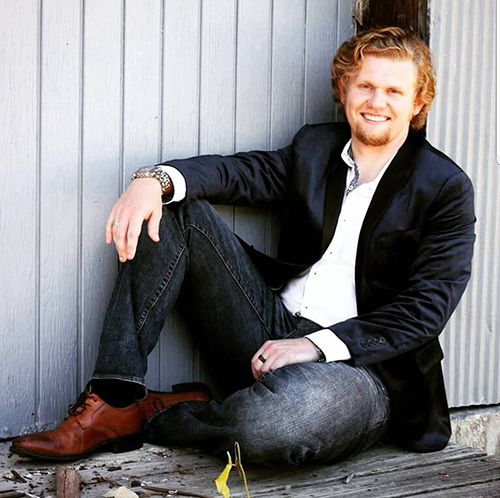 Devin has been a Studio Artist with Opera in the Ozarks, Eureka Springs, AR, where his most notable role was Gastone, in Giuseppe Verdi's La Traviata (2015). In the fall of 2015 Mr. Eatmon transferred to the prestigious Florida State University as a Vocal Performance Major. He performed two leading roles that season (2015-2016). The first being Nanki-Poo in Gilbert & Sullivan's The Mikado, FSU Student Opera Society, (2015) and the second with, FSU Opera MainStage, as Lorenzo, in William Bolcom's comic opera Lucrezia (2016). That same summer Mr. Eatmon performed with Tenor, Fernando Varela and Baritone, Craig Irvin for "Hearts of Gold" a concert to benefit the Coalition for the Homeless of Central Florida, hosted at the Hard Rock Live in Orlando, FL. During the 2016-2017 FSU Opera MainStage season Mr. Eatmon covered the title role of Alfredo, in Giuseppe Verdi's La Traviata (2016) and portrayed the role of, George Villiers Duke of Buckingham, in the scholastic premiere of Carlisle Floyd's The Prince of Players (2017). Devin was also seen in another concert with Fernando Varela with a group called FOUR DIVO, which featured Mr. Varela, Branden James, Craig Irvin, and American Idol finalist, Pia Toscano (2017). Devin spent the summer of 2018 at the world renowned Aspen Music Festival in Aspen, Colorado. While there he performed scenes from some of the most famous operas. These scenes included the roles of Alfredo in La Traviata by Giuseppe Verdi, Nadir in Les pêcheurs de perles by Georges Bizet, Candide in Candide by Leonard Bernstein, and Rodolfo in La Bohème by Giacomo Puccini. Mr. Eatmon has since started his Master's degree at Florida State University as a fully funded and paid Graduate Teaching Assistant in Vocal Performance. He most recently was given the opportunity to perform the role of Rodolfo in Giacomo Puccini's famous tragedy La Bohème (2018). Mr. Eatmon looks forward to portraying the role of Curley in Carlisle Floyd's classic opera, Of Mice and Men in the spring semester (2019). 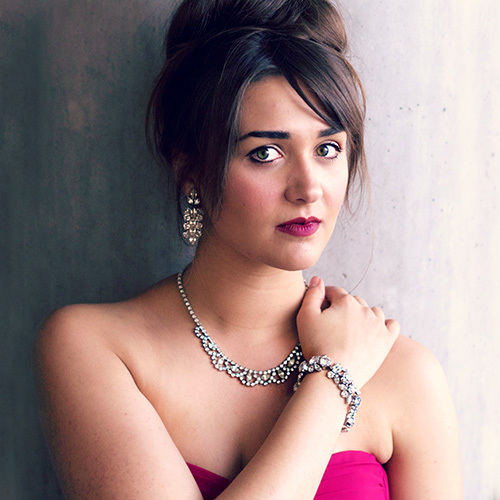 Carson Dorsey is a Texas soprano known for her advocacy of Albanian classical music. She recently made international news for her work with the Valona Music Project, bringing American music to Albanian audiences and made her European debut with the Jindrichuv Hradec Simfoni Orchestra in the Czech Republic under the baton of Albanian conductor, Mario Rapaj. In addition to her international concert work, Carson has performed in many opera productions. Most recently, she has sung Younger Alice in Glory Denied and as Madame Mathurine in the U.S. premiere of Le Mariage d'Antonio at the University of North Texas where she is currently a graduate student studying with Molly Fillmore. Notable past roles include Despina in Cosi fan tutte, First Lady in The Magic Flute, La Pastourelle in L'enfant et les sortileges, and Sister Alice in Dialogues of the Carmelites. 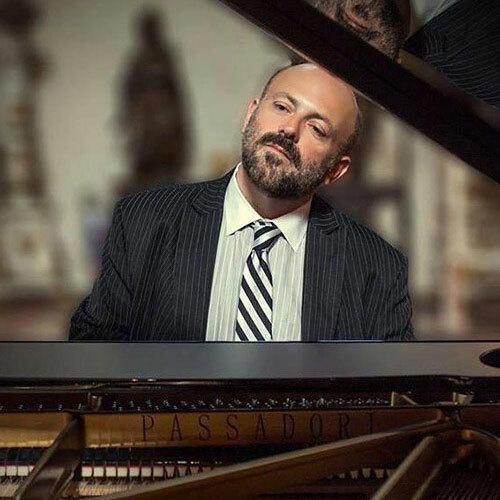 Carson holds a BM in Voice from the Cleveland Institute of Music and is the co-founder of the Valona Music Project which promotes cross cultural musical exchange throughout the Albanian diaspora. She will sing in the upcoming Valona Music Project concert series in Dallas, Texas in partnership with the Albanian American Heritage Center. More info is at valonamusicproject.com.